As we welcome in another new year, GQ has named it's 50 Best-Dressed Men in Britain and there are a few surprises! 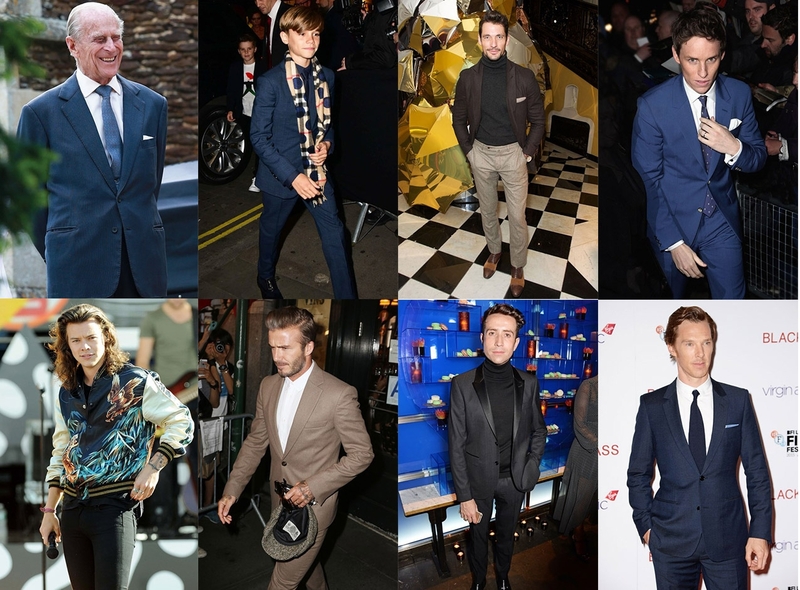 From trendsetting teenagers to grand old men and everything in between, their judges have compiled an eclectic list of the land's most stylish men that sees Prince Philip, 94, sitting in 12th position, beating his grandson, Prince Harry at 38th. David Beckham is 4th, but has some competition from family as well, with 13 year-old son Romeo, hot on his heels at number 8 on the list! Topping the 2016 Best-Dressed List is Eddie Redmayne who retains the number 1 spot for a second consecutive year, while Nick Grimshaw takes the runner's up spot. Amongst the worst-dressed, Paul Hollywood is at number 1, Josh Widdicombe in second position, The Only Way is Essex's Jake Hall in third. The best and worst dressed lists are voted for by GQ staff and a panel of experts including fashion designer Giorgio Armani, Alexander McQueen's creative director Sarah Burton, designer Tom Ford, Nick Grimshaw, TV presenter and Daily Mail columnist Piers Morgan, model Lara Stone and fashion designer Vivienne Westwood.